So … What’s Up at the (former) Crozet Lumberyard? And so it begins. The lumberyard access has been closed. I really wonder who has purchased the lumberyard. So, now, ALL traffic flow, including emergency vehicles, into and out of this populous section of Crozet is contingent on Tabor Street being accessible at ALL times? That’s a potentially risky scenario. 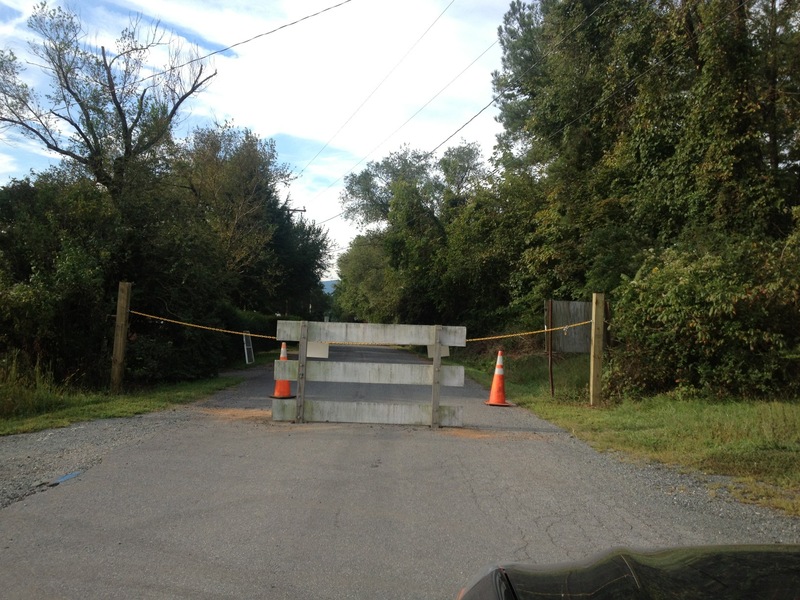 – Some may recall when Jim Crosby, then editor of Crozet’s first newspaper “The Bulletin”, reported that there was a road shown on old plats which doglegged around the lumberyard property, from just about the point where the road is now blocked. That platted access road was always blocked by lumber stacks, so drivers and others finding it necessary to navigate through the lumberyard had to be especially careful doing so during business hours. – And once upon a not-so-ancient time ago, there were THREE (3!) ways out of this neighborhood. That third road extended straight through from Park Road to Rt. 240. Its access was quietly blocked many years ago by neighboring landowners. – So, now there is only ONE way in and out. Have the newest owners of the lumberyard property unknowingly blocked a deeded access? That’s a very interesting question about potential deeded access. For some reason, I never thought about the lack of emergency access to all of those homes back there – if a tree goes down on Tabor, hundreds and hundreds of homes would be inaccessible. Bingo, modern standards do not apply apparently: at least 2 access roads to ANY neighborhood. It puzzles me that no extension is planned towards Rt 250 (Clover lawn Harris Teeter) and a connector is laid to one of the neighborhoods off 250. Could you really sell a home and tell the buyer, hope that a tree will never block Tabor Street? Thanks for the comment. I’m liable to pull your comment for a full story on this question – it’s going to be a lot of traffic on that road. As someone who lives in Westhall, access does worry me. After the derecho, Park Road was down to one lane for a while. If not for a tree holding up a power line, it would have been closed. We were lucky that nothing fell on Tabor, though we could still have left through the lumber yard at that time. The number of very large, older, trees that went down along Tabor last time does worry me in case there is another storm. “Here is what I know. The land was purchased by the bank at the auctiion. It is still for sale and various people are interested. Next PostNext Want to Help Put up the Crozet Pool Dome?